Cholesterols ain’t cholesterols. There is good cholesterol and bad cholesterol. This has been recognized for some years now, but many people are still uncertain about what it means in the context of a healthy diet. The cholesterol which whizzes around the human bloodstream is attached to protein molecules, forming compounds known as lipoproteins. There are three major types of these lipoproteins: high density lipoprotein (HDL); low density lipoprotein, (LDL); and very-low-density lipoprotein, (VLDL). Cholesterol can build up on the walls of arteries in the body, impeding blood flow and forcing the heart into overdrive as it works to push blood through the clogged regions. But not all the cholesterol floating around in the blood is of the type which gets deposited on the walls of the arteries. HDL cholesterol, sometimes called “good cholesterol”, actually seems to strip cholesterol from the walls of arteries, returning it to the liver. LDL and VLDL cholesterol, on the other hand, deposit traces of cholesterol on the walls of the arteries, potentially putting a person at risk of developing cardiovascular disease, arteriosclerosis, or hardening of the arteries. It now seems that some people are genetically more prone to develop high levels of “bad cholesterol” in the bloodstream, while others seem to have some natural protection against such a build up. But there are things we can all do to lessen our chances of artificially inflating the amount of “bad cholesterol” in our blood, while keeping the levels of “good cholesterol” where they should be. For a long time, it has been known that a diet high in saturated fats (such as animal fats and certain vegetable oils) is a risk factor for the development of high blood cholesterol levels and lowering “good cholesterol” levels. Replacing saturated fats with polyunsaturated fats goes some way towards better health, since it decreases the levels of “bad cholesterol”, but these fats reduce the levels of “good cholesterol” too. Monounsaturated fats, on the other hand, are capable of lowering the levels of “bad cholesterol” while enabling the body to maintain or even increase the levels of “good cholesterol”. Until quite recently, tests of blood cholesterol levels did not distinguish between the good and bad types of cholesterol. Patients were told that their cholesterol levels were either high, normal, or low. Tests are now available which can separately measure the levels of both good and bad cholesterol, giving patients a better idea of whether intervention is needed. If fat is present in a food, it is usually present in more than one form. A single type of vegetable oil can contain all three types of fat: saturated, monounsaturated and polyunsaturated. For people trying to lower their levels of “bad cholesterol”, the trick is to eat foods which contain: minimal levels of any type of fat; and proportionately more monounsaturated (and to a lesser degree polyunsaturated) fats than saturated fats. Foods which are high in monounsaturated fats include olives, eggs, some fish, some nuts and avocados. 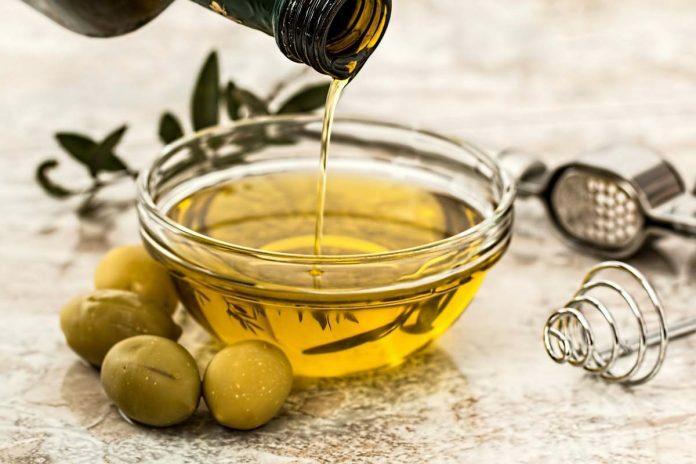 Societies which have enjoyed diets high in foods containing monounsaturated oils have historically had a low incidence of both heart disease and some cancers. Since the late 1980s, a seed oil called canola has become a major ingredient in many processed food items, such as margarine, cooking oil, mayonnaise and so on. 63% of the fats in canola oil are monounsaturated, while only 7% are saturated. As a dietitian and lifestyle blogger, Natalia never lost her enthusiasm for learning, discovering, and sharing health and wellness knowledge on LifeTips.